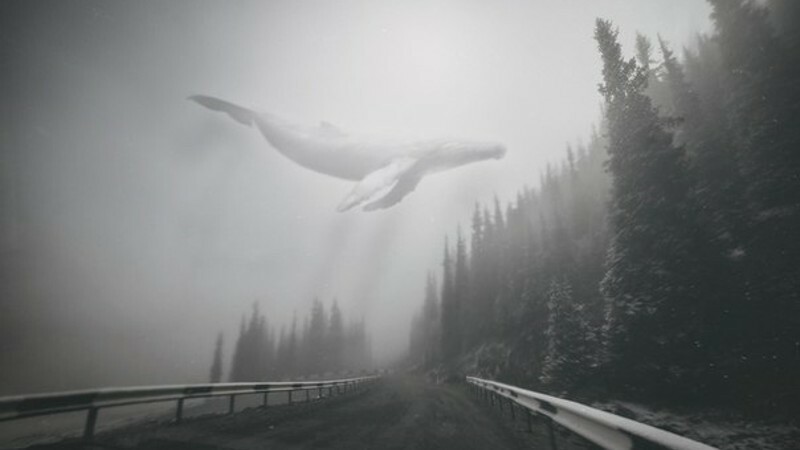 The investigation of mysterious groups on VKontakte full of images of whales and butterflies that Novaya Gazeta claims drive teenagers to take their own lives has met with public criticism. Image from VKontakte. A Tunisian court has ordered authorities to censor two online games that allegedly lead teenagers down a path to suicide. The issue has raised public concerns about self-harm — but also about arbitrary internet censorship. The ruling calls on the Tunisian Internet Agency (known by its French acronym ATI) to block access to the Blue Whale Challenge and Mariam games, even though ATI has no legal mandate to block online content. The Blue Whale Challenge is a decentralized online game where players are instructed to carry out specific tasks that include self-harm. After fifty days — in some documented cases — they are told to commit suicide. Mariam is a Saudi-developed horror-game that revolves around a lost girl, whom players help guide back home. Apart from the fact that this would take ATI beyond the bounds of its legal mandate, the court order to “block” Blue Whale Challenge also fails to acknowledge the decentralized nature of the game. Blue Whale is not hosted on a single platform, but is instead orchestrated by various anonymous administrators interacting with players in private social media chat groups. The game first came to prominence in Russia in mid-2016 after it allegedly resulted in cases of suicide and attempted suicide across a number of countries. Through a variety of legal measures, authorities in Russia, Kazakhstan and Kyrgystan have all attempted to reduce children's access to the game by shutting down VKontakte groups where the game is hosted, alongside other groups that are seen as promoting self-harm. In 2017, when the game became popular in China, major social media platforms like Baidu and Sina Weibo began shutting down all the forum discussions with keywords like “Blue Whale” or “Blue Whale game”. Only recently has the game risen to prominence in Tunisia. Last December, the National Agency for Computer Security (known by its French acronym ANSI) warned parents against the Blue Whale Challenge. While recalling that it cannot block any online content as it is not part of its mission, the agency advised parents to use parental control software, despite the limitations of this solution, given the game's decentralized nature. In March, five Tunisian teenagers who are believed to have played Blue Whale committed suicide. Their parents, who found their children hanged in their rooms, say they died because of their addiction to these online games. Three others attempted suicide but were saved in extremis. In February, the parents’ association of a local school and the delegate for child protection in the city of Sousse filed a lawsuit to order the Tunisian Internet Agency to block access to the two games. In a verdict issued on 6 March 2018, the Court of First Instance (primary court) of Sousse ordered the ATI to block access to the two games, arguing that they represent a danger to youth in the country. The implications of this decision, if upheld on appeal, would set a new precedent for internet censorship in Tunisia. If the final judgment is in the plaintiffs’ favor, it will obligate the agency to censor the two games. Even though this might be technically impossible in the case of Blue Whale, it would constitute a jurisprudence on which other requests for content censorship — that could be much more clearly detrimental to the public interest — could be based. Echoes of the Ben Ali era? The ATI was once known as the censorship body of the dictatorship of ousted president Zine el Abidine Ben Ali. Established in March 1996, the agency’s official mandate was to develop the internet in Tunisia beyond being the only gateway for international connectivity as an internet exchange point. But at the same time, and until the revolution, the ATI had orders from the presidency and government to control all online information, even though it had no legal mandate to censor content or spy on users. After the public uprisings and consequent ousting of Ben Ali in January 2011, interim authorities ended internet censorship practices and the ATI adopted reforms to cut ties with its image as an internet censor by focusing only on the legal mandate it was first established to fulfill. Lawsuits like these would undermine such reforms, potentially sending ATI back to a position of censor. And this month’s court decision is not the first attempt to bring back online censorship, in post-revolutionary Tunisia. In May 2011, a group of plaintiffs represented by three lawyers prosecuted the ATI to ban access to online pornographic content, also on the grounds of child protection. ATI appealed the court decision, which they lost in August of the same year. But in February 2012 they won a second appeal and the Court of Cassation referred the case back to the Court of Appeal. In June 2013, the Court of Appeal ruled in favour of the agency. In response to the recent court ruling on the games, ATI chief Jawher Ferjaoui reiterated his agency’s commitment to respecting users’ constitutional rights and internet freedom and pledged to appeal the verdict. Although we do respect the court’s order and the parents’ demand, it is not our mission to censor the internet. Since the protection of the rights and freedoms is our top priority, we will challenge the censorship decision as soon as we receive the official order paper. We will explain why it is nonsense to ask for such a solution. Ferjaoui added that the ATI will soon offer a new parental control service called “Ammar Kids” which is an “at source” filtered internet connection. With this new service, parents will be able to subscribe to a filtered internet plan, rather than first subscribe to an internet plan and then buy the commercial software for parental control to be installed and activated. Despite Tunisia’s progress in freedom of expression and internet freedom including its 2014 constitution that guarantees the right to access information and communication networks in article 32, it seems that the public is not uniformly convinced of the values that these rights uphold. And while the content of the Blue Whale game is deeply disturbing, it is important for the public debate on this issue to acknowledge that online games are but one factor in trends of teen self-harm and suicide. There has been an alarming increase in the general suicide rate among young people in recent years. According to the ministry of health's report published in December 2017, there were 49 documented cases of suicide among those aged between 10 and 19 years old in 2016. These acts were attributed to violence, poverty, pressure and bullying in school. …to protect your children from Blue Whale, do the same thing you do to protect them for adult content and pedophilia, and violence or obscenity: watch what they are doing online, talk to them about what the see and hear online, install parental controls software in their phones….Just like the world, the internet has places that are not for kids and places that even adults should rather not go to. If you cannot protect your own children, no one is going to be able to so, not the judiciary, not the police and not the ATI. Attempts to limit access to these two games may help keep some children from interacting with such material, but it will not wholly prevent Tunisian children and teens from inflicting self-harm. Parents and families will always have a vital role in helping their children navigate online content and their own emotional struggles. What is certain is that the court decision, if upheld, would mark the return of arbitrary censorship in a country that was once a testing lab for filtering and surveillance technologies. For Tunisian users who experienced internet censorship before the revolution — and its dire consequences — the recent court order represents a step in the wrong direction.